As you can probably surmise from the above photo, we have some exciting news we would like to share! We are expecting a baby, due in early April! I’m not going to lie, the first three month were pretty rough. Sheer exhaustion prevented me from doing anything but lay around and read Game of Thrones and nap. As a result, John had to manage the shop, blog and all the every day things by himself. Thankfully he’s been very supportive and I am now feeling a lot more energetic, so we’re hoping to get the blog back on track. 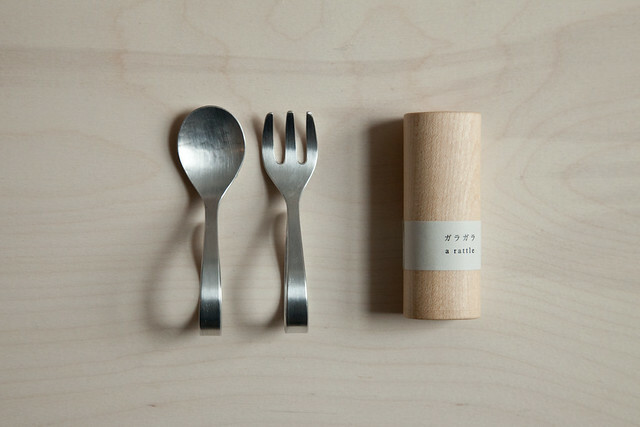 A set of handmade baby cutlery from Westside33 in Kyoto, and a natural maple baby rattle we purchased at an exhibition in Tokyo. The wood produces a really soft sound, and it makes a good shaker if you need some percussion. This hang tag is given out in the Tokyo JR stations to expecting women so that people will know to give up their seat. Sadly, this didn’t work for me on the long train ride to Oji Masanori’s new home. My baby bump (aka food baby) wasn’t prominent enough. But it’s a nice idea. 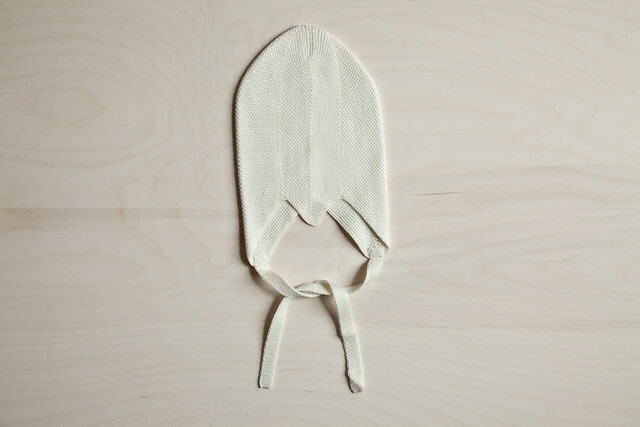 A silk baby bonnet from Finland. I bought one of these during my first trip to Iceland because I saw it on all of the babies, and I wasn’t sure I would ever find it again. Of course, when we opened the shop we hunted some down, and they are available in store and soon online. 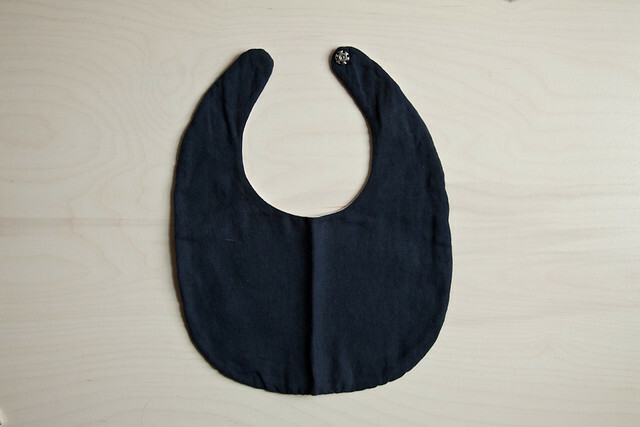 A baby bib by Akiko Ando, a clothing artist from Tajimi city. We have a small collection of her husband’s ceramics (Masanobu Ando) currently in our store. 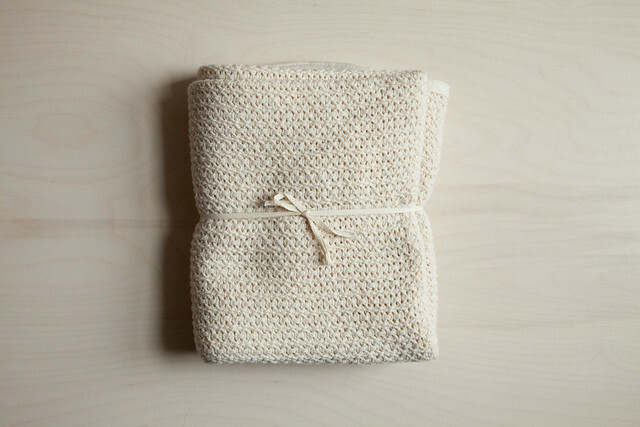 A soft cotton blanket by Yumiko Sekine for Fog Linen. 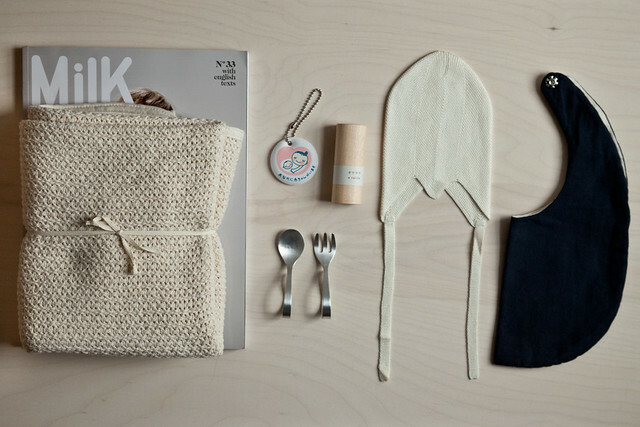 We’ll keep you up to date on any big milestones, and maybe some design minded baby stuff we come into contact with, but don’t worry, this isn’t going to become a baby blog! We promise!! !